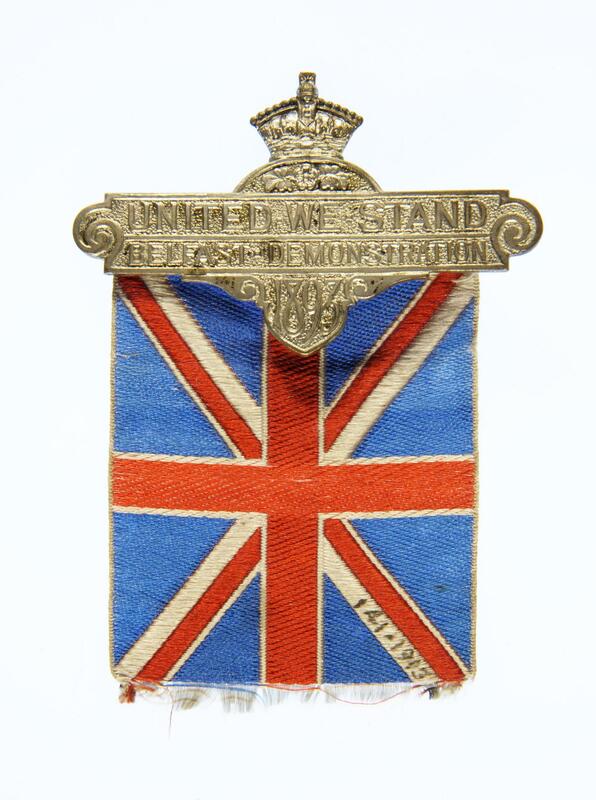 Ulster Unionist Convention 1893 badge. A crowned white metal bar with long pin fastening. Inscribed "United We Stand, Belfast Demonstration 1983. Attached to the bar a woven Union Jack flag. 1893 saw the Second Home Rule Bill pass the House of Commons but defeated by the House of Lords.